In the State of New Jersey, you can't have a jury trial for a DWI. 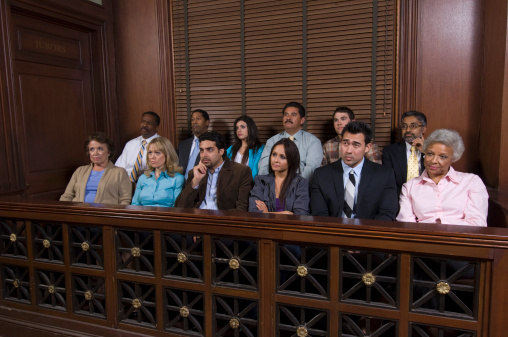 Yes, the United States Constitution says you are entitled to a jury trial when accused of a crime, but the New Jersey judges ignore it. NCDD member John Menzel took this case up to the highest Supreme Court in New Jersey recently, yet they still decided against following a basic tenet of the United States Constitution. In the State of Ohio, their Supreme Court has said in Ohio v. Vega that you can't cross examine a breath test machine. What?! You ask? What about the right to cross examine witnesses? Yes, the United States Constitution guarantees every citizen accused of a crime the right to cross examine their accuser. Does this include a machine that says you are guilty (the operators, the scientific lab director, etc.)? Of course, but not according to the Supreme Court of Ohio. NCDD members Shawn Dominy and Tim Huey has been attacking this nonsense for years and in 2014 a brave Ohio ruled the Intoxilyzer 8000 was unreliable (because it is) in Ohio v. Lancaster. Yet, Ohio v. Vega remains the law in Ohio. In Texas, there is no such thing as double jeopardy when it comes to DWI. Once the court sentences you, guess what? Without any hearing, a whole different branch of the government sends you a bill for $3,000 to $6,000 because you got convicted. This is higher than the maximum fine a court can punish you with in a misdemeanor class B DWI. What happens if you don't pay it? You get arrested for driving with an invalid license and tagged with usurious late fees and interest on top of the surcharge. How can that happen, you ask? What do the judges have to say about it? How can a government agency act independently and with no abandon from the state's entire criminal justice system? I can't tell you. I sued the Texas Department of Public Safety over this illegal (no due process and excessive punishment, both illegal under the Constitution) surcharge program in federal court and a federal magistrate dismissed my case (this litigation I undertook cost me personally thousands of dollars). There are so many more examples of how laws are not followed in many states when it comes to DWI. So, what is going on? Across the country, citizens accused of DWI hire lawyers expecting that whether they are guilty or not guilty the courts will guarantee their Constitutional and legal rights throughout the process. Guess again. Why is this happening? I have practiced law 22 years. The answer is "the ends justify the means." Judges ignore the Constitution and laws because they think the public does not care. The truth is the public does care, for many reasons. One of which, is they or someone close to them have been charged with a DWI (average of 1.4 million DWI arrests in the U.S. every year). I don't support DWI. No one does. My clients accused of DWI don't support DWI, but not supporting DWI does not mean we don't support the Constitution and our laws. Good people make mistakes. We all do, and when we do- an advanced civilization guarantees to its people basic protections and guarantees. The common thread in this country is that our Constitution and laws are supposed to apply to everyone equally, no matter what they are charged with. It is time for judges to follow the law. This means they must have courage. No American citizen wants a court where our Constitution and laws are ignored. 1. Sue the Pantego Police Department (their officer in my client's case) when they illegally used police officers to draw blood. 2. Sue the Texas Department of Public Safety over their DWI surcharge program in federal court. 3. 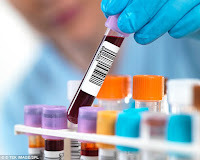 Stood up to the civil lawyers of the City of Ft. Worth when they refused to give me the blood discovery on my client's blood cases. They finally gave up after multiple hearings where judges shot them down by giving me what I am legally entitled to. 4. Fought the City of Arlington when they illegally tried to bill me over $500,000.00 for 6 police officer personnel files. No, it did not stop me. Yes, I got all 6 files and they had to deal with the civil lawyer I retained and the threat of going to the media. These are just a few examples in my career where I had to make a choice, the easy one (give up, go with the flow) or the right one. In every decision, I was fighting not just for me and my clients but for all my fellow lawyers and their clients too. These battles were costly, time consuming, and took their emotional tolls, but to not fight was never a choice. 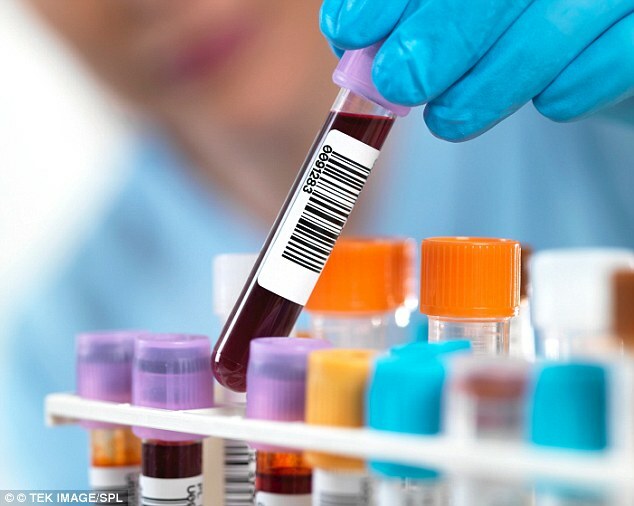 Currently I am battling a national lab who has hired a civil firm, because they too don't want to hand over the blood discovery which may or may not prove their blood result is accurate. 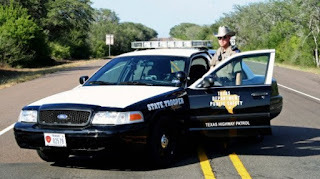 Just this past June, I tried to educate judges and prosecutors at the Advanced Criminal Law Seminar of the State Bar of Texas that Chapter 724 of the Texas Transportation Code specifies the qualifications of who and how blood can be drawn in Texas. Yet, our Texas courts still refuse to follow the law replacing it with 'a standard of reasonableness' because it is more convenient for law enforcement to let them do what they want. A judge too must fight (the media, their colleagues) and be courageous to make the right decision. It is too easy to make the wrong and illegal choice, especially when it comes to legal issues surrounding politically charged topics like DWI. But just like forcing a child to take their medicine, it is necessary. The right decisions are so often the toughest ones to make. Following the Constitution and laws is the only protection we have in this country. Have courage. Just follow the law. I envision a time where the administration of DWI justice does not involve shocking truths.